Cronkite’s characterization supposedly represented a moment of such stunning clarity and insight that it forced President Lyndon Johnson to realize his war policy was a shambles. And a month later, Johnson announced he was not running for election–a decision often linked, if erroneously, to Cronkite’s “mired in stalemate” analysis about Vietnam. 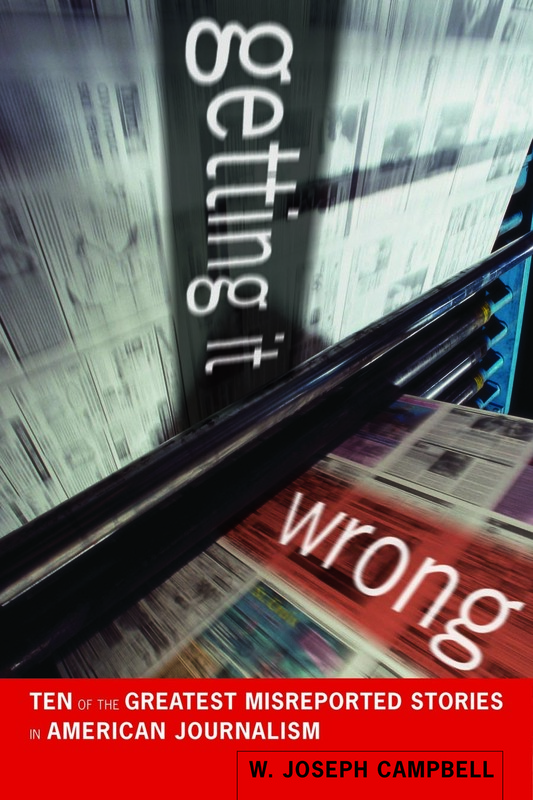 I dispute the power and impact of the so-called “Cronkite Moment” in my latest book, Getting It Wrong, which addresses and debunks 10 prominent media-driven myths. I point out that Johnson didn’t even see the Cronkite program when it aired on CBS on February 27, 1968. Vietnam: The Signs of Stalemate. And that wasn’t only occasion in 1967 and early 1968 when the Times turned to “stalemate” to characterize the war. A review of database articles reveals that “stalemate” was raised not infrequently, and that the Johnson administration disputed the characterization. And all this was months before the supposed insight offered by Cronkite. Moreover, four months before Cronkite’s report, the Times said in an editorial that the Johnson administration should embrace stalemate in Vietnam as a way of enabling peace talks and a negotiated settlement of the war. So why does all this matter? Why is it important to trace the use of “stalemate” to describe a long-ago war? Doing so demonstrates how unexceptional Cronkite’s commentary was. And how middling it was, too. It’s scarcely the stuff of dramatic insight, scarcely the sort of comments that would have decisive effect. Tracing the use of “stalemate” also serves to underscore the inconsequential nature of the purported “Cronkite Moment, which nonetheless remains among the hardiest myths of American journalism.